In an attempt to reassure readers with some interest in a Ships in Bottles Association, Daniel has graciously set up a clubs tab at the top of the webpage. Some of you have commented about an association and in particular I had mentioned in a past thread the name of North American Ships in Bottles Association. Well most of you might be aware there is a lot of work to setting up an association and there is also legal ramifications. If we want to start a club we need a name and a logo. There are a lot of creative people who come to Bottled Ship Builder so I am looking for a name and if anyone has a logo or graphic to share please do here on this thread. If there is enough interest then I will start a club and chair it. As well if interest grows I will provide a quarterly news letter which can provide our members with a commentary on technology, techniques, build suggestions, and I have a bunch of old journals from SIBAA of which I can resurrect some info/past articles from a bunch of Good Ol’ boys of the aforementioned. So please cast your vote here with a yeah or a nay and ...if you have a cool logo or maybe it’s a nice picture of a SIB that could be used please share here. I'm all for it. I can see if I can't come up with a cool photo or drawing logo wise. It might take me some time, got a lot on my plate, so if someone beats me to it that's perfectly fine. Sound like a good idea Jeff. Count me in. Attached is a Logo I developed for our club Shipwright's Corner. I like the little man. The idea of building a ship right out of a log is fun. I wonder if it should be more tied into ship in bottle building. If it's for the North American Ship in Bottle Association it needs more bottling to it. Like Bottled Shipwrights Corner. Okay I will come up with a new logo for Bottled Shipwrights Corner .... stay tuned! 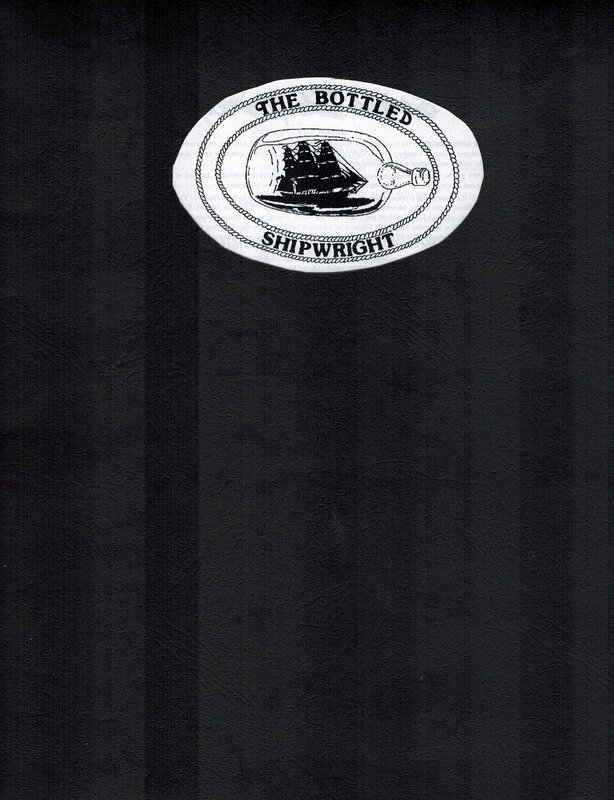 I am just in the process of finalizing the logo for The Bottled ShipWright you see above. Should take about a week or two. Once completed I will launch our club. It will be open to all members who want to participate. I will create some newsletters and most likely a bi-annual journal that will contain a wealth of modeling techniques and will pull ideas/techniques/instructionals from past members contributions from and to SIBAA et al. A quick update; David Lavoie, Tery Butler and none other than Commander Donald Hubbard have agreed to submit a small article to kick off our first journal. I plan to release it on our club link in mid-December of this year. Just waiting for our logo to be finished off and I'll kick off our club! Yup Jeff, Thanks for keeping the spark alive, and trust you have the disk with all past issues on it. Thought you might like a short piece talking about the actual origin of the SIB Assn when Jack Hinkley came to San Diego in 1982 to see the First International SIB show that was organized on board the San Diego Maritime Museum ship Star of India. Think we had 165 models from everywhere, and 9 Japanese flew here from Osaka to see how we had done it. They had planned to have the first International show the following year (I didn't know that) and came here to see what the difficulties were. Jack and I went to their show the following year. These were exciting years when all was new. Let me know and I'll get busy on it.